Smoothies are a huge part of life at my house. We drink them like water! We’re mostly creatures of habit, sticking to our favorite blends, but we’ve tried just about every combination possible. 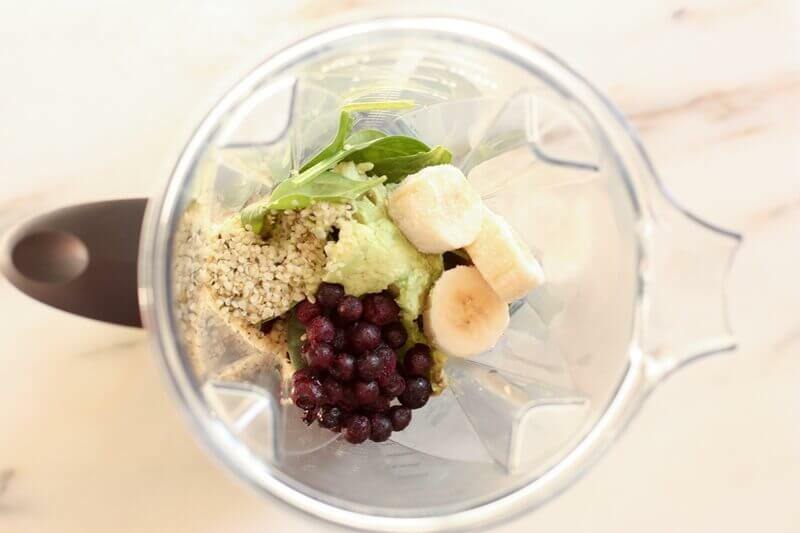 My template for the perfect smoothie is this: fruit + greens + fat + protein + liquid. All of these components play a vital role in controlling appetite, especially when you’re using a smoothie as a meal replacement. In addition to providing antioxidants and other powerful nutrients, the fruit and greens provide fiber, which delivers bulk and helps slows down digestion. Baby spinach is a great add-in to any smoothie, as the flavor is so mild you won’t even know it’s there. The fat source also slows down digestion by regulating how fast the stomach empties its contents into the intestines. Great natural fat sources include: nuts and nut butters, avocado, chia or flax seeds, and coconut oil. I rely on both fat and fiber to keep me satisfied until my next meal. Protein also plays a role in how full I feel, but in a slightly different way. I like to think of protein as having the “done” factor. Protein tells my brain that I’m finished eating, I’m satisfied, and that I don’t need to eat again for a few hours. As a Dietitian, we have a name for this. It’s called satiety. Satiety from the protein determines how long it will be before you’re hungry again. Satiation from the fiber and fat helps you feel full during your meal, helping to slow you down. Many of my clients tell me they are hungry shortly after a smoothie. Upon further investigation I usually find that the smoothie was nothing more than fruit and some kind of low calorie liquid. This is not enough to provide satiety or satiation! Some great natural protein add-ins are: Greek yogurt, cottage cheese, raw almonds, organic tofu, or hemp seeds. 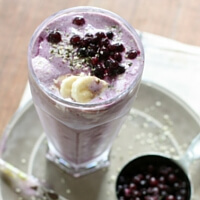 This tasty, low sugar smoothie recipe utilizes the staying power of frozen fresh Wild Blueberries. Since I don’t like to add too much fruit to my smoothies, I like to get the biggest nutrient bang I can. 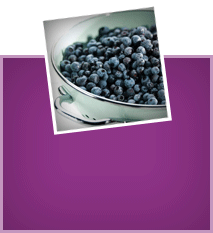 Wild Blueberries are not only full of delicious berry flavor, they are the antioxidant leader. They are especially rich in anthocyanin, a potent antioxidant flavonoid found in highly concentrated amounts in Wild Blueberries. 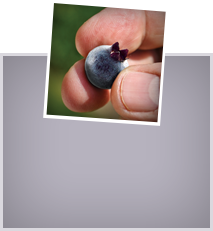 Anthocyanin is responsible for both the berry’s deep-blue color and its powerful health protection. 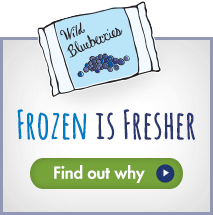 I also love that Wild Blueberries are found in the frozen food aisle, as this lessens the need to add ice to your smoothie, which may dilute the flavor. 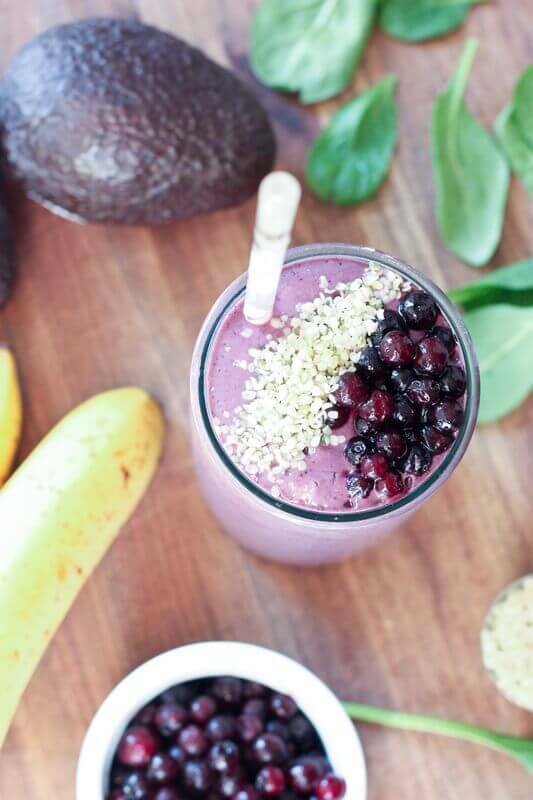 Blend all ingredients in a high powered blender. This smoothie is not very sweet. 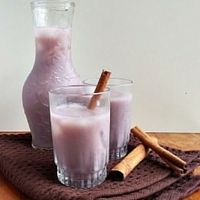 Add more dates to achieve desired sweetness, if necessary. Pour into glass; garnish if desired. 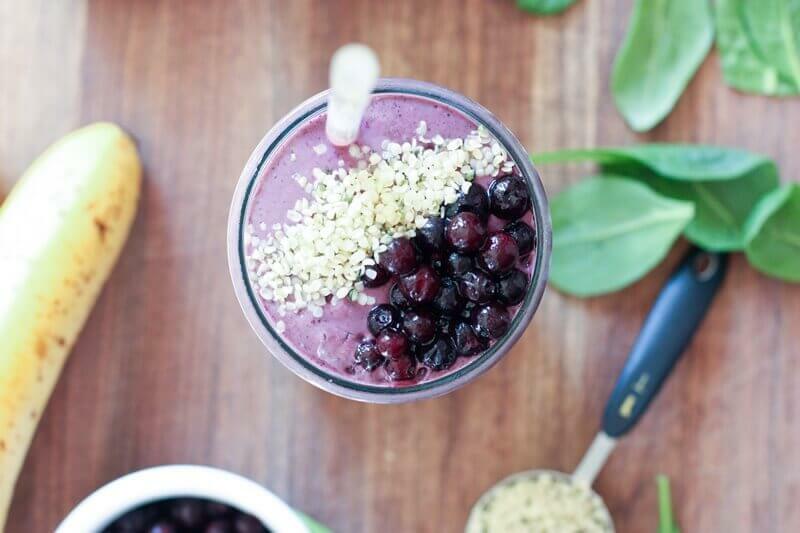 What an absolutely perfect looking smoothie- I love each and every ingredient! Blueberries have recently become my 2 1/2 yr old daughter’s favorite fruit so I know she would totally gulp this down! I love having a “formula” for making smoothies. 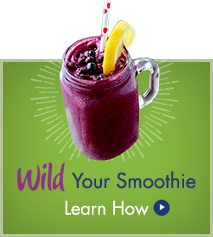 This wild blueberry version looks delicious! I LOVE blueberries in smoothies 🙂 This drink has my name ALL over it!